Renting, living and leaving a home in Japan. What are the initial move-in costs? What does a typical Japanese apartment look like? Easiest way to rent accommodation when you first arrive. Share common areas, e.g. living room and dining room, kitchen, bathroom. Dormitory style or you may have a small private bedroom. Charge much lower move-in costs than long-term apartments. Do not need to make a long-term rental commitment. Can renew your lease from month to month. For the pros and cons of a share house versus apartment, please see Housing in Japan: Apartment or Share House? You cannot rent a long-term apartment in Japan with a tourist (90-day) visa because long-term rentals require you to have a guarantor and a status-of-residence that will allow you to stay in the country for an extended time. 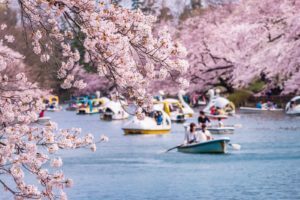 The standard regular lease term for a long-term rental apartment in Japan is two years, with the option to extend the lease at the end of the term and usually with a requirement to pay a lease renewal fee (usually equal to one month’s rent). The size of the city (rent in Tokyo, for example, will be higher than in a small rural town). Proximity to the city center and desirable shopping/dining/entertainment areas. Accessibility of nearest train station. Amenities available in the building and in the apartment itself. 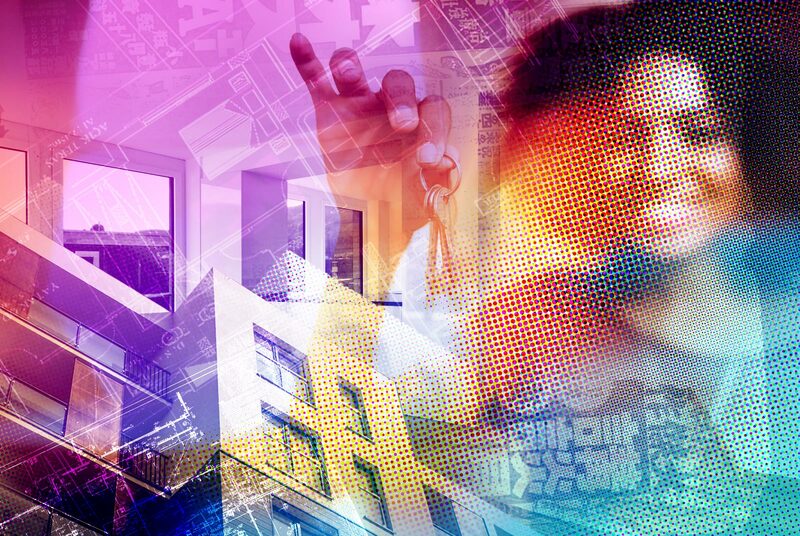 What’s the average rent in Tokyo? The average rent for a 15-sqm to 20-sqm studio apartment located at a fairly central station in the Tokyo 23 wards is between ¥70,000 and ¥100,000 a month, depending on the age of the property, available amenities, and distance from the station. It is possible to find budget apartments in Tokyo, by looking outside the Yamanote line and the 23 Wards. Broadly speaking, in Tokyo, a budget apartment is a studio apartment with a monthly total cost of ¥60,000 or less. What’s the average rent in Osaka? The average rent for a 15-sqm to 20-sqm studio apartment located at a fairly central station in Osaka is between ¥60,000 and ¥70,000 a month. You can find a studio apartment for much less than this if you live in the outer wards and/or at smaller stations. You need to have a real estate agent to rent an apartment in Japan. Landlords and property managers in Japan almost never advertise property for direct leasing to tenants. Agents also generally work on a local basis, specializing in particular neighborhoods or stations. Most real estate agents in Japan do not speak English and also do not take inquiries or applications from outside Japan. It usually takes about ten days to two weeks from the time you find an apartment to the time you can move in, assuming that your application is approved. The traditional way to find an agent would be to go to the station where you want to live and walk into any one of the real estate agencies with offices near the station. They will have you fill out a questionnaire about your budget, desired station(s), the distance you want to live from the station and numerous other property details (such as layout and size). The agent will recommend properties based on your requirements or give you binders filled with advertisements for currently available properties for you to choose from. The agent will then contact the property managers for the properties you want to view to set up room view appointments. If you have limited Japanese, an easier way to find an apartment is to look for apartments online, on a site which lists foreigner-friendly properties and where all the listing agents are capable of handling English inquiries, such as GaijinPot Apartments. In Japan, it is almost impossible to rent an apartment from overseas (for more details on why, please see the section below on Renting an Apartment from Overseas). It is also not easy to go through the whole application process unless you have some basic Japanese. If you are in this situation, one option would be to go with The GaijinPot Housing Service, which is meant for foreigners who need full bilingual support throughout the application process, including the ability to apply from overseas. It’s sometimes possible to view a property the same day that you contact your agent about it, but in general, it will take at least a day for your agent to arrange a room view. Most agents will also try to arrange as many room views as possible in a single day, to save your time and theirs. The agent will usually arrange to meet you at the closest station and walk with you to the property. In Japan, most real estate agents communicate with other agents, property managers, and their clients by phone. You need to have a local (Japanese) phone number where your agent can immediately contact you. This is in case there is a change in the room view appointment or if your agent needs to confirm a detail about your application. In the busy season, when there are often multiple applications for a single apartment, the ability to immediately reach you can be the difference between whether you get the apartment you want or not. Once you’ve found an apartment you like, the next step is to fill out a lease application and provide all the necessary documentation. You may want to have a Japanese-conversant friend help you fill out the application. For documentation, please see the section below on What You Need to Rent a Long-Term Apartment. Your application will be reviewed by the property manager or landlord, and your agent will be able to relay the result to you in one or two days. If you are rejected, please be aware that the property manager or landlord does not have to disclose the reason why a rental application has been rejected. If your application is approved, your agent will inform you and give you the bank account details to pay your move-in costs by bank transfer (described in detail below in the Initial Move-In Costs section). In almost all cases, payment of move-in costs must be done by domestic wire transfer. In a few cases, you may be able to pay for some move-in costs with a credit card. Once payment is confirmed, the agent will arrange a day for you to come to their office (or the office of the landlord’s agent or property manager) to sign the lease contract and other documents related to your move. Often the lease signing day will be the same day as the day you actually move into the apartment. If you sign the lease before your move-in day, you will have to meet the agent again to receive the keys on the day you move in. Make a legible copies of both the photo page of your passport and the page where your visa stamp is attached, and of the front and back of your residence card or student ID. If you haven’t yet been issued a visa, you will need to provide a Certificate of Eligibility. If you will be working in Japan, a signed employment contract or official offer letter can also be submitted instead. To prove that you’ll be able to pay your rent, you have to submit proof of income documents. 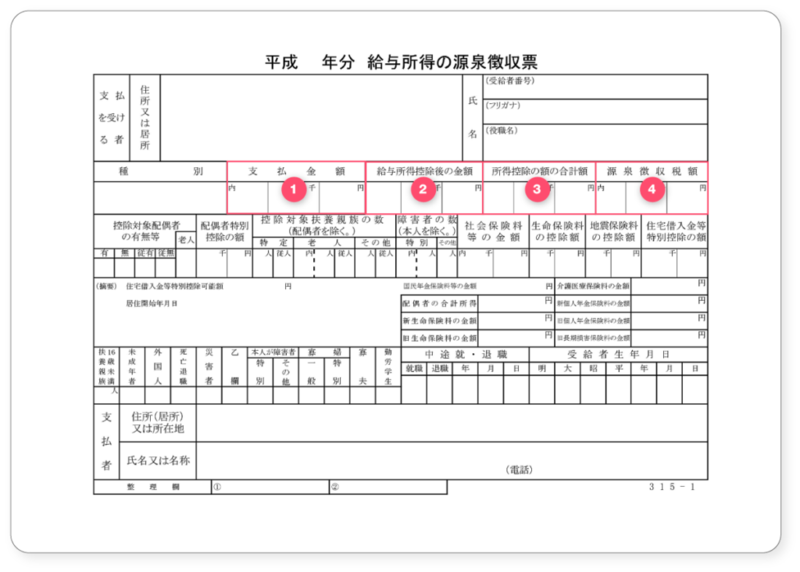 You will be asked to provide copies of recent payslips, usually for the past two or three months; or a copy of your annual tax withholding slip (gensen choushuu hyou, 徴収票). If you are a student and your parents will be paying your rent, you will be asked to provide copies of their latest bank statement. If you are a university student or will be studying at a Japanese language school, you will also be asked to provide a copy of the front and back of your student ID and school admission letter. You should also get the following things ready, in the process of renting an apartment. In Japan, traditionally, in order to rent an apartment you needed a guarantor (hoshounin, 保証人), a person who officially agrees to be liable for your rent in case you cannot pay. This is true whether you are Japanese or not. Nowadays, most property managers and landlords prefer that you use a guarantor company, rather than a guarantor of your choosing. As part of your rental application, the PM will submit your personal information to a guarantor company who will do a background check. However, you should be aware that you have to pay one month’s rent upfront to the guarantor company and a renewal fee of ¥10,000 every time you renew your lease. Where your agent can contact you immediately regarding room views and the status of your application. In a few cases, you can pay some move-in costs, such as the Agency Fee (described below in the What are the initial move-in costs section) by credit card or cash. Your monthly rent must be paid by domestic wire transfer. As part of your application, you may be asked to fill out an automatic withdrawal form, so that the rent will automatically be deducted from your account on the day that it is due. This is a required part of a long-term rental application. Your emergency contact does not have to be a Japanese person, but it does have to be someone whom the property manager can contact by phone in case something happens to you. As a rule of thumb, you should budget between four and six months’ times the monthly rent to cover the initial move-in costs. The first month’s rent is usually pro-rated based on your move-in date. If you move in on the first, then you would pay the full month’s rent. This is not a cost that can be negotiated. The word for “rent” in Japanese is “賃貸” (chintai). Shikikin is sometimes referred to as 保証金 (hoshoukin) in western Japan (Kobe, Osaka, and Kyoto). Your landlord holds your deposit throughout the term of your lease, and will use the money to cover any unpaid rent or to pay for repairs beyond normal wear-and-tear and cleaning fees when you move out. 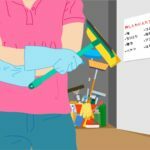 In Tokyo, there is a local ordinance that was enacted to prevent disputes between tenants and landlords on this issue: unless you have done clear damage to the apartment, the landlord is supposed to deduct a cleaning fee from your deposit and return the balance to you when you vacate the property. Not every property requires a deposit. However, most newer apartments charge a deposit of between one and two months’ rent as a move-in cost. When you search for properties on GaijinPot Apartments, you can specify “No Deposit” as a search criteria. This is a gratuity you pay to your landlord, and it will not be returned to you when you vacate your apartment. Not every property requires key money. When a landlord charges key money, it is typically equal to one month’s rent. The average amount of key money charged tends to be higher in Kansai (Kobe, Osaka, and Kyoto) than in the Tokyo metro area. When you search for properties on GaijinPot Apartments, you can specify “No Key Money” as a search criteria. Also called a brokerage fee in English. This is the commission you pay to your agent for their service. By law, the maximum that your agent can charge you is one month’s rent plus consumption tax (which is currently 8%). Some agents do not charge a commission at all or only half a month’s rent. You can lower your initial out-of-pocket costs by searching for properties where the agent has waived their fee. See: What you need to rent a long-term apartment. This fee pays for the maintenance of the common areas (including the hallways, elevator, maintenance of garbage room and so on) in your building. It is both an initial move-in cost and a monthly running cost. Not all properties charge a property maintenance fee. For properties that do, the property maintenance fee varies from ¥3,000 to ¥5,000 per month for studio apartments in smaller, older buildings to tens of thousands of yen per month for high-end properties. In property advertisements, this fee is usually shown as a separate charge, but sometimes it is folded into the advertised rent. The property maintenance fee is not a fee you can negotiate. If you apply for a property with a maintenance fee, you have to pay the stated amount. It is common for landlords to charge the tenant moving in for the cost of exchanging the lock(s) on the property. In rare cases, property managers waive this fee as part of a special campaign. The average cost to exchange a lock is ¥12,000. You will be required to take out property/fire insurance (also called, renter’s insurance) when you sign your lease. The cost is usually about ¥22,000 for a two-year policy. You will also be required to renew your insurance every time you renew your lease. You cannot opt-out of signing up for property/fire insurance. In Japan, discrimination of applicants, based on national origin and race does exist. However, there are many agents in Japan who are very happy to earn their commission by helping you find an apartment, including all of the agents who list properties on GaijinPot Apartments. Once you find a room that you are interested in, however, your agent will still likely call the agent representing the property owner to ask whether they are ok with renting to a foreigner. Property owners may reject you out of hand because you are not Japanese. 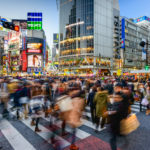 If you have lived in Japan a long time and do speak Japanese, owners will more likely be amenable to accepting your application because their concern is often your ability to communicate and to understand the cultural mores of living in Japan. Pet-friendly apartments are not the norm in Japan. A “pet-friendly” or “pet negotiable” apartment is considered an apartment that allows you to live with a small dog or cat. Aquarium fish, birds, hamsters, and lizards are not considered pets. you can usually keep these types of animals without getting special permission from the property manager or landlord. You can find pet-friendly apartments on GaijinPot Apartments by selecting it as a search criteria. Even in a “pets negotiable” apartment, it is standard for the property manager or landlord to charge at least one month’s extra deposit for the privilege of having a pet. Check this post for useful vocabulary for finding a pet-friendly apartment in Japan. An incident apartment (jiko bukken, 事故物件), sometimes called a stigmatized property in English, is a property where the landlord has had to lower the rent below the prevailing market rent because of an accidental death, suicide, or other incident that occurred in the property. You can get a discount of about 20% to 30% on a typical stigmatized property, compared to a similar property in the same neighborhood, especially for small studio apartments. 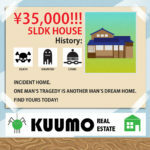 If you are ok with living in a stigmatized property and want to try to find one to rent, the best online resource is a website called 大島てる (Oshima Teru or Oshima Land, in English) which allows anyone to submit incident reports of stigmatized properties worldwide. The results are mapped onto a Google map interface. The map defaults to New York, but you can simply click over to Japan. In order to rent an incident apartment, you will still need a real estate agent, as most owners do not directly advertise to tenants. In Japan, the busy season for renting an apartment is January to March. New college graduates and many lateral hires start new jobs in April, which is when many Japanese companies also start their fiscal year. This also applies to college students starting their studies. Popular properties usually start filling up from around January and February, so tenants have to move quickly to secure their living quarters. In the busy season, the average time period between property viewing and lease signing is around one week, which leaves almost no time for negotiating the rent. From April to July, demand for apartments is lower. Some owners and property managers might be open to negotiating some perks for potential tenants. For example, they might offer no key money, slightly lower rents or invest in upgrading certain properties to make them more attractive. Landlords will push agents and property managers to fill up remaining vacancies in April, so this is a time when it is possible to find a bargain or negotiate on key money or the agency fee. In the Tokyo metro region, landlords are required to equip rental apartments with air conditioning units, but in Kansai (Osaka, Kyoto, Kobe), they are not. It’s very rare for a rental apartment in Japan to be equipped with a dryer, but they will usually have a washing machine hook-up. When you are looking at apartment listings in Japan, rather than being told the number of bedrooms the property has, you’ll come across terms such as: 1R, 1K, 1DK, and 1LDK. These abbreviations tell you how many rooms in total the apartment has, excluding the bathroom and/or toilet. 1R: One-room studio apartment. “R” stands for “room”. Usually has between 13-sqm and 20-sqm of floor space. 1K: One-room studio apartment with a kitchen that is usually separated from the other room by a wall. 1K apartments typically have between 13-sqm and 25-sqm of floor space. “K” stands for “kitchen”. 1DK: Two room apartment with a kitchen and dining space that is separated from the other room. 1DK apartments usually have between 25-sqm and 30-sqm of floor space. 1LDK: This is a one-bedroom apartment with a living/dining room and a kitchen separate from the living/dining area. In the abbreviation 1LDK, L stands for “living”, D stands for “dining” and K stands for “kitchen”. 1LDK apartments usually have between 23-sqm and 35-sqm of floor space. 2DK: Two-room apartment with a dining room/kitchen that is usually separated by a wall from the other two rooms. “2” means that there are two rooms in addition to the dining room/kitchen. 2LDK: Two-bedroom apartment with a separate living room. The dining room is often connected to the living in an open-floor plan, with the kitchen separated by a wall. 3DK: Three-room apartment with a dining room/kitchen that is usually separated by a wall from the other three rooms. 3LDK: Three-bedroom apartment with a separate living room. The dining room is often connected to the living in an open-floor plan, with the kitchen separated by a wall. It’s best to ask a moving company for a quote for your specific case. Twenty-foot or 40-foot containers are used to ship household goods. For a big move, the main number to keep in mind is 30 cubic meters. This is the limit of what can fit in a 20-foot container, so you have more than 30 cubic meters of household items, you would be moving to a higher price point. It is also possible to share containers with other people shipping things, but the price difference is not always significant, and can even be more expensive in some cases. How long does it take to ship things to Japan? You must register your address at your city hall or ward office within 14 days of moving into a municipality. Take a look at our Visas and Status of Residence section for info on how to do this. Akabo is good if you are a single person living in a studio or one-bedroom apartment, making a short-distance move within a city or to a nearby city. A move within Tokyo with a small truck will cost about between ¥9,000 and ¥12,000. If you have heavier items like a small fridge or couch, you should plan on lending a hand with lifting. The approximate cost for a single-person move with a full-service company is between ¥27,000 and ¥33,000 depending on the amount of things you are moving. Longer distance moves (from part of Japan to another) will also significantly raise the cost. If you have less than two cubic meters or about ten cardboard boxes worth of things to move, many moving companies also offer a tanshin (単身, singles) service for between ¥10,000 to ¥12,000 for a short-distance move within a city. Your things will basically be delivered by courier service to your new apartment. Almost all moving companies also offer student discounts, called gakuwari (学割). The big full-service moving companies below have customer inquiry info posted in English on their websites. Electrical voltage in Japan is 100 volts – 50/60 Hz AC. Fifty (50) Hz is common in eastern Japan, including Tokyo, and 60 Hz in western Japan, including Kobe, Osaka, and Kyoto. Once you receive the keys to your apartment and have actually moved in, find the circuit breaker and flip the main switch to the “On” position (the Japanese character for “On” is 入). In a Japanese apartment, the circuit breaker is often found near the entrance or the bathroom. If you’ve already called ahead to set up an account in your name, you’re all set once you’ve turned on the breaker. Find the small pre-paid postcard application form (usually attached to the circuit breaker or placed inside your mailbox), fill in the details (your name, address, date of service start, and how you want to be billed; that is, whether by automatic bank transfer or payment voucher at a convenience store), and mail it in as soon as possible. You need to do this in order to set up an account in your name. If you fail to do so, your power will be turned off if your electricity supplier discovers that you haven’t registered (and paid for) your usage. There are ten different electricity companies in Japan, divided by geographic region. Information is provided below for contacting TEPCO and KEPCO. You have to call your local gas company to get an appointment for a technician to come to your apartment and turn on the gas line. It only takes about 10 minutes for them to check and activate the gas line, but you do have to be at home for this. The main water supply line is usually left on at the end of residential contracts, so you usually do not have to turn it on when you move in. If you turn on the tap and nothing comes out, you’ll need to turn on the main. The water meter in a Japanese apartment is usually found in a metal box outside your front door, next to the gas meter. Turn the handle to the left to turn the water on. You should also contact your local water bureau to set up an account in your name. The contents of each box on the example bill are explained, starting with the item in the upper left corner. The Japanese calendar year is used here. This example bill is for Heisei 25, which is 2013. If you owe less than ¥1,000, the bill will be combined with the next month’s bill. If you didn’t use any electricity at all in that month, you’ll be charged half the basic fee. For the default contract, electric usage fees are broken up into three tiers, with fees per kWh increasing depending on the kWh used. 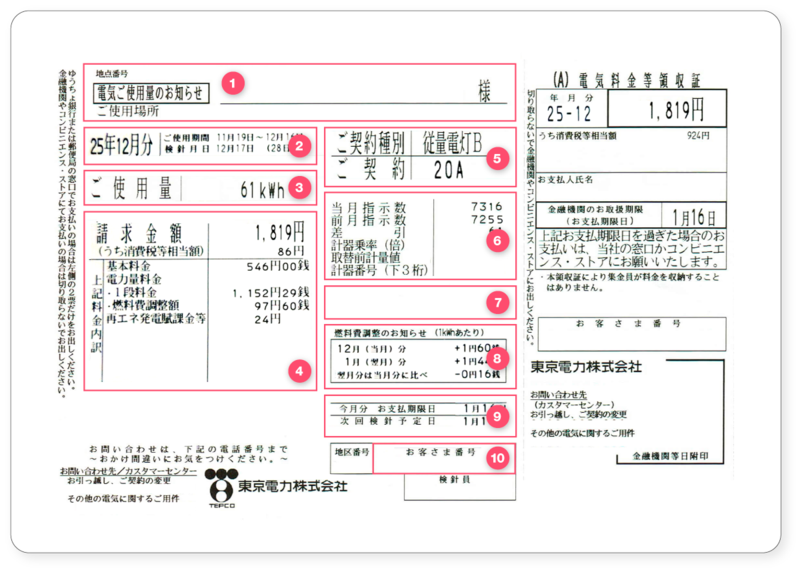 TEPCO uses a system to calculate the amount that should be added or subtracted from your bill to adjust for the fluctuation of the cost of fuel. This amount is used to support renewable energy sources and is based on your usage. TEPCO offers several contract types with different basic fees and usage limits. You can change your contract to better fit your usage. Box 8 contains detailed information about how the fuel cost adjustment is calculated. Box 9 contains important date. If this date has passed, you can still pay at a convenience store or at a TEPCO service counter. If you don’t have an automatic bank transfer set up, the slip on the right will repeat information such as the payment due date and billing month. The clerk at the convenience store, bank, or post office will stamp this part when you pay. ご使用番号 (Goshiyo bango): Your usage number. This is your customer number, which you’ll need to know in case you ever need to contact the gas company about your bill. ご使用期間 (日数) (Goshiyo kikan nissu): Period of use (The period for which you are being billed). In the sample above, December 17th to January 19th. The number in parenthesis shows the number of days (34) in the billing period. 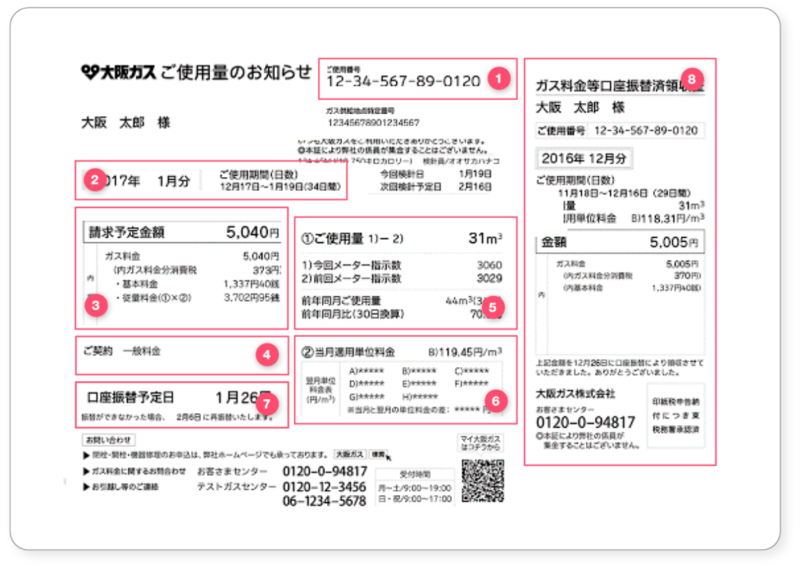 予定請求金額 (Yotei seikyu kingaku): Scheduled billing amount. In this case, ¥5,040. 内ガス料金分消費税 (uchi gasu ryokin-bun shohizei): Amount due for consumption tax (included in the ¥5,040 total due). 基本料金 (Kihon ryoukin): Base rate. In this case, ¥1,337.40. This is the basic fee you will pay every month. 従量料金 (Juryo ryokin): Metered rate. This is the amount you have to pay based on your actual usage. It is calculated by multiplying the amount of gas used (shown in Box 5, 31-cubic meters) by the rate for that usage tier (shown in Box 6, ¥119.45 per cubic meter) to get the total amount due for metered usage = ¥3,702.95. ご契約 (Gokeiyaku): Your contract (type). 一般料金 (Ippan ryokin): General charge. Most residential customers are billed based on this contract type. ご使用量 (Goshiyouryou): Amount of gas used. The amount shown in this bill (31-cubic meters) is about average (or even a little below average!) for a winter gas bill for a single-person household. 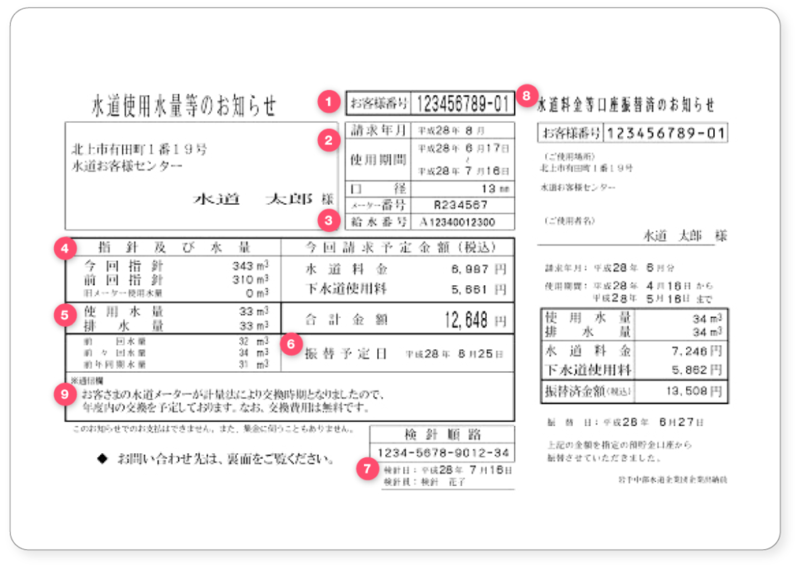 今回メーター指示数 (Konkai meta shiji-su): This bill’s meter reading indicator number. 前回メーター指示数 (Zenkai meta shiji-su): Last bill’s meter reading indicator number. 前年同月ご使用量 (Zen-nen dogetsu goshiyou-ryou): Amount of gas used in the same month last year. 前年同月比 (Zen-nen dougetsu hi): Comparison of this month’s usage versus the same month last year. In this case, this person used 70.5% of the amount they used last year. 当月適用単位料金 (Tougetsu tekiyou tan’i ryokin): Applicable unit rate for the current month. The unit rate increases as the amount of gas you use increase. In this case, this person is being charged at Unit Rate B or ¥119.45 per cubic meter. 口座振込予定日 (Kouza furikomi yotei-bi): Scheduled date of debit (bank transfer). If you have set up direct debit from your bank account to pay for your gas bill, this is the date (January 26th), your account will be debited. You also have to the option of paying by payment voucher at the convenience store or by credit card. You can choose the payment method when you set up your account. You can also change your payment method by contacting your gas company. ガス料金等振込済領収書 (Gasu ryokin-to furikomi sumi ryoshu-sho): Receipt of payment by debit (bank transfer) for gas bill. This sample bill below is from the Iwate Chubu Waterworks Bureau but the terminology is applicable to any water and sewage bill issued in Japan. お客様番号 (Okyakusama bango): Your customer Number. You’ll want to know this in case you need to contact your water bureau with any questions. 請求年月 (Seikyu nengetsu): Billing year and month. 平成28年8月 means August 2016. 使用期間 (Shiyo kikan): Usage period. In this case, from June 17th to July 16th. As mentioned in the introduction, some municipalities bill for water and sewage in two-month billing cycles. 口径 (Kokei): (Water Pipe) size. In this case, 13-mm. The bigger the water pipe installed to your apartment, the higher the base rate will be. 今回請求予定金額 (税込) (Konkai seikyū yotei kingaku zei-komi): Amount scheduled to be billed this month, including tax. If you have set up direct debit from your bank account to pay for your water bill, this is the date (August 28, 2016), your account will be debited. You will receive a small discount off of your water bill if you sign up to pay by direct debit. You also have to the option of paying by payment voucher at the convenience store or by credit card. You can choose the payment method when you set up your account. You can also change your payment method by contacting your water company. 検針順路 (Kenshin junro): Meter reading route. This is your route number. 水道料金等口座振込済のお知らせ (Suido ryokin-to kouza furikomi sumi no oshirase): Receipt of payment by debit (bank transfer) for water bill. This space is where you’ll receive an special notifications from the water bureau. In this example, the notice says that the water company will be replacing the meter for this customer within the year because of a change in the meter reading law. The customer will not be charged for the replacement. If you will be in Japan for less than twelve months or if you do not want to commit to a contract term of one- to two-years, one option would be pocket WiFi, which offers the advantage of fast set-up but slower connection speeds and limited data. Here are a few useful words related to getting online. 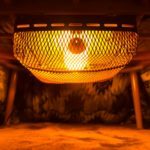 In your rental apartment, you are responsible for changing the lightbulbs for interior lighting fixtures, the batteries for remote controls and smoke alarms, and cleaning the filters in your air conditioner and range hood. If there is a building manager in your building, report it to this person first. They will either fix it or contact the property manager (PM) to have a technician come. Note that your landlord is responsible for paying repair fees for any equipment that they own. However, if the previous tenant of your apartment installed equipment which they then left in the property, your landlord is not responsible for maintaining it or paying to repair it. For example, if the previous tenant installed a second air conditioning unit and moved out without having it uninstalled and this unit breaks down, you would have to pay to have it repaired yourself. Ideally, allow yourself at least one to two months when you are moving out of your apartment. You need to give at least one month’s notice, but in some cases more. You should check your lease contract to be sure. They will arrange an apartment inspection on your move-out date. You will also be charged cleaning fees. 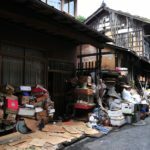 Typically there is a base of ¥1,000-1,250 per square meter for the standard wear and tear, plus extra if there is further damage such as stains, mold and dents. Decide what to throw out, what to sell or give away and what to bring home. See the section below on Buying and selling furniture for ways to sell things you don’t want to give away. Oversized items can’t be thrown away with regular garbage. You actually have to pay a surcharge of anywhere from ¥200 (for a small appliance) to several thousand yen for a couch, for the city to dispose of these things. Oversized garbage (sodai gomi, 粗大ゴミ) includes things like TVs, kitchen appliances, and furniture. You need to make an appointment with your city or ward’s garbage collection center to have them pick up oversized items. You can find the contact information on your city’s official website. When you call (or apply online), you’ll be asked to describe the items and their dimensions. The operator will then tell you the how many garbage stickers (粗大ゴミ券) you’ll need to buy at the convenience store. On the morning of the scheduled pick-up day, affix the stickers to your items and place them in the garbage collection area. If there are things you need to mail home, the post office offers a variety of international shipping options. See our section on Sending and Receiving Mail. Call your utility companies to choose a shut-off date for gas, electricity, water and any other services you receive. The phone numbers are printed on your monthly statements. You can pay your final bills at a convenience store before you leave or have the bill sent to a friend who can pay them on your behalf. Pay all your bills and taxes before you leave Japan. Final bills may require payment in cash upfront or you may need to leave some money in your bank account to cover them. Residence tax is calculated based on your previous year’s income. You need to pay Residence tax even if you leave part way through the year. You can pay the full amount prior to leaving the country or appoint and notify a tax manager who will pay resident tax on your behalf. For more information on taxes, see the section on Taxes, Pensions and Health Insurance. You’ll need to visit a brick-and-mortar shop of your carrier. Some companies will allow you to choose a date in advance to cancel your service, but others only offer cancellation on the day you visit the shop. Remember to backup any important information before you bring the phone in. Early termination of contract fees run around ¥10,000. You may have to make two separate calls (one to cancel with the line provider (NTT East or West, for example) and one with your Internet Service Provider (ISP). The final bill will be sent to your current address or to a friend who is willing to pay on your behalf. If you own a car, call your insurance company to cancel your policy. Whether you’re disposing of the car or selling it, you’ll also need to take care of the necessary paperwork which you can receive from the Land Transportation Office (陸運支局). Think about any other subscriptions that need to be canceled and make preparations accordingly. For example, cable TV, newspapers and magazines, Netflix, monthly grocery boxes, and so on. If there’s someone in the country who will agree to take care of any mail you receive, you can fill out a “Change of Address Notification” card (tenkyo todoke, 転居届). If your visa will expire before the date of your departure from Japan, you must visit an immigration office to apply for a Temporary Visitor Status of Residence. If you still have a valid visa, you can remain in the country for up to 90 days as a tourist without changing your status. Visit your city hall or ward office to inform them that you are leaving the city. Bring your residence card and seal, and fill out the required “Moving Out Certificate” (tenshutsu todoke, 転出届け) form there. Return your card to Immigration at the airport (or other port of disembarkation from the country) when you depart. The immigration office will punch a hole in it and give it back to you. You’ll need it when you apply for your pension refund. found in many neighborhoods along shopping streets. You can get amazing bargains at recycle shops on appliances that are only a few years old. For example, a two-year old brand name washing machine can be had for ¥5,000 or less, which is about half of what one would cost new. When it’s time for you to move out of your apartment, you can turn around and sell your used things back. If you are selling something small, you can bring it to the shop to see if they’ll buy it from you. Be aware that their standards are high, and most shops won’t buy furniture and appliances unless they are in excellent condition, with no scratches or stains. If you want to sell bigger pieces, you can ask them to visit your home to evaluate the items and offer you a price. If they decide to buy your things, they will send a small truck to pick them up. Mainly sell electronics, audio equipment, musical instruments, TVs, watches, cameras, and plastic toy models. Mainly sell home appliances, furniture, brand name handbags and accessories, kids’ items, and towels and linens. Other Hard-Off sub-brands include: Hobby-Off (for trading cards, RC cars, novelty items), Garage-Off (for car-related items, bicycles, and things that would be stored in a garage), Mode-Off (men’s and women’s clothing, brand name bags, shoes, and accessories), Liquor-Off (wine, beer, liquor). Book-Off (books, CDs, DVDs). Since many foreigners live in Japan only temporarily, there’s a constant flow of ‘Sayonara’ (goodbye) sales as people look to sell stuff they don’t want before they leave the country. Sites like Craigslist (which has local sites for major cities), Freecycle (where you trade stuff for free), and GaijinPot Classifieds are a great resource for finding one-off bargains. For new furniture and household items, check out the Shopping section. One of the cheapest ways to rent new digs in Japan is to look for "incident" apartments. Gaijinpot presents a guide to these pads and the benefits — or horrors — that await.